Well, the office is just like our second home where we spend most of our time working all-day long. You often become bored of just working, working and working at the end of the day but you are helpless, you can’t do anything because you don’t have access to that kind of environment where you can chill and relax for a while taking a break from your monotonous work. But I have created a list of some of the really coolest workplaces in India which provide lots of facilities in their company to cheer up their employees when they get bored. They have such an awesome interior design that will compel you to leave your current job. Have a look at some of the offices who know well how important employees are for them. Google India Private Limited is the best-known offices to work for. It is situated in Hyderabad. It is a place where employees can have fun apart from doing their regular work and relax during office hours. If you like starting your day with a feel-good message every day, then this is the perfect place for you to work. They have added some cool artwork at its workspace that employees will feel good and fresh every day after visiting the office. Myntra is known for its style. 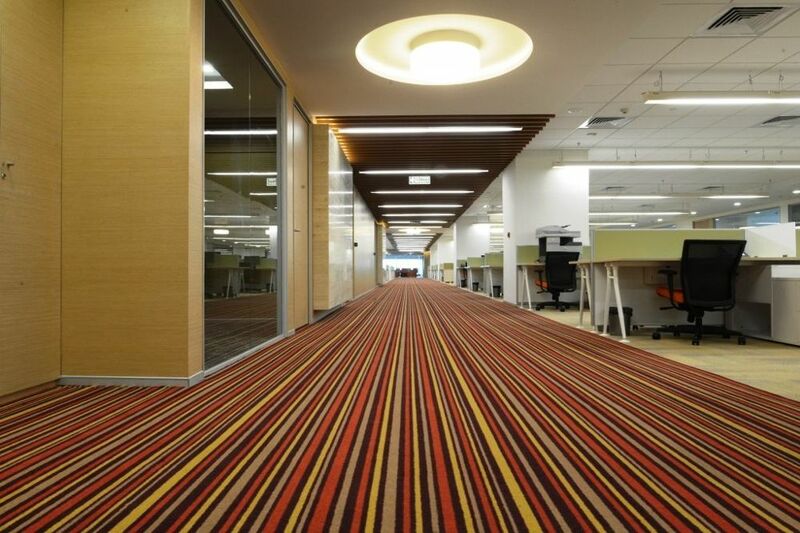 Its office is more than stylish and may be beyond your imagination. Their office looks like a stylish high-end retail store where you may get confused that whether its an office or some nicely designed branded retail shop inside a mall. The office space just resembles its name. They have designed their office in such a colourful way which is perfect for generating new ideas you are more productive when you feel comfortable when you have such a wonderful and colourful ambience around. Apart from this, they also have a dedicated game zone where employees can think of new ideas while playing out with their stress in free time. This is what we call office is! Infosys campus is located in Mysore. The office has a theatre, accommodation rooms for trainees, cricket ground, gym and many other facilities to lure the employees and the new joiners. Infosys Mysore Campus looks no less than a royal heritage. The office has a unique concept and design. It is designed using two colours, Black and White. The main highlight of the office is to give a feel just like you are working in the director’s cabin. The office is designed using a wooden pod which resembles a woven structure of a bird’s nest. The place is used for conducting meets and important discussions during office hours. Check it out guys, it is so amazing and unique. The office is well designed using bikes and bikes accessories. They better know how to reflect a brand by designing their office in such a colourful and unique way. This is just like a dream office where you would love working at if you get the opportunity. Their office is just like a celebration of colour and art. The office has some awesome conference rooms, a gym, recreational centres and nap stations with skyline views. It’s you or someone else, we might have one or many bad habits in general which are causing harm to the environment directly or indirectly. We generally do not think that sources of energy that we use in our daily lives are so important that we cannot afford to live even a single day without them. Yes, I am talking about water, electricity and similar things which are equally important for our daily survival. I am listing some of the everyday mistakes which you do and which is causing great harm to the environment and we need to stop right away to save our environment. Almost every one of us has this bad habit of not switching off the lights when we are not using it. And, do you have any idea that doing these silly mistakes costs so much as it affects our environment very badly that we can’t even imagine. If you are in a regular habit of doing this, what you can do is you can place sticky notes next to the switch lights in your room so that it reminds you every time when you are about to leave your room. Boiling water in kettle seems so easy but are you familiar that boiling a small amount of water in a kettle consumes a lot of power which is enough to light up your whole house. In place of such electricity consuming kettles, you can make use of kettles which consumes less amount of electricity to run which will in turn help to reduce energy usage and will help save our environment too. You might be meat lover and you are not in a mood in a mood t become a vegan. But if you are eating lots of farmed meat then you are supporting an incredibly environmentally damaging industry. Many acres of rainforest are cleared up to grow soy crops to feed a huge number of cattle and you might be familiar that overgrazing by these cattle on these grains ground is a major reason for global soil depletion and source of climate pollution. So, you might consider becoming a vegan if you want to save the environment. Whether you are washing your dirty dishes or brushing your teeth, leaving a tap running is a very common mistake which you do on a daily basis, and doing this wastes a huge amount of water. It may seem like how much water you can save like this but remember taking small steps will help you to make a bigger difference which will help save our environment. Smoking Hukka and cigarettes have become a trend in metro cities. But do you know that cigarettes that you smoke are causing so much harm to our environment as the smoke releases toxic chemicals into the air? So, if you want to preserve the environment, ‘Quit Smoking’. We can’t even imagine moving out of a grocery store without carrying plastic bags. Even we are familiar with the fact that plastic bags are quite harmful to our health and environment too but still, we can’t give up using these plastic bags. When it comes to fashion, trends seem to come and go almost overnight, which makes it incredibly hard to curate a personal style that will withstand the test of time. Yet, it seems like models, bloggers and fashionistas always look incredibly fashionable, regardless of trends and fads, without even putting much thought and effort into their outfits. The truth is that the secret to their look boils down to simplicity, elegance and a couple of statement investment pieces that just never go out of style. Apart from being extremely practical and carrying everything you may need on an everyday basis, handbags also represent a style statement that can truly make or break any outfit. Considering their durability, versatility and undeniably stylish and timeless design, the best idea might be to invest in a truly classic handbag, such as a Birkin or a Chanel flap bag, which are always on trend and make for the perfect “runway” pieces. Incredibly chic and so versatile they can be worn with anything from a casual outfit to a business professional look, a designer handbag is an ideal accessory for instantly elevating any outfit and making you look sleek, polished and fashionable without much effort. No outfit is really complete without a great pair of shoes that pull the whole look together. While they come in different shapes, styles and designs, it is always best to invest in a pair of classic designer shoes that are so versatile they will undoubtedly become your next wardrobe staple, instead of following the latest trends and fads that will be forgotten as soon as the next season. With their incredibly sleek and distinctive studded design, amazing Valentino shoes are an instantly recognizable and highly fashionable designer piece you should add to your shoe collection immediately. Stylish, versatile and extremely comfortable, Valentino shoes are a must-have item for completing any chic “runway” look. A lot easier to put on than eye makeup, sunglasses are the perfect accessory that easily takes any outfit to the next level and makes the whole look seem as though it’s fresh off the runway. Even on those days when you simply can’t muster the strength to put on even a dab of concealer, sunglasses will be there to help you look chic and put-together. Besides protecting your eyes from harmful sun rays, if you invest in a high-quality pair of sunglasses, such as Ray-Ban, Prada or Celine, in a classic shape and a neutral colour that best suits your wardrobe palette, you will have the perfect accessory for years to come that will always help you look polished, stylish and expensive. Even though black has always been the go-to colour for achieving elegant and highly fashionable looks, the recent years have seen a rise in popularity when it comes to all sorts of neutral tones, especially shades of beige, taupe, cream and tan. From classic Burberry trench coats to trendy jumpsuits and two-piece sets, a wide array of these subtle sandy tones were seen all over the runways of the fashion capitals of the world. And, considering the number of models, bloggers and fashionistas opting for chic head to toe beige outfits, it is safe to say that beige truly is the new black. While there are so many accessories you can choose from to embellish any look, take a page from the models’ book and try to realize that less really is more. There is no need for over the top, oversized jewellery that draws the eye and overpowers your whole look – true elegance lies in simplicity. Dainty minimalistic jewellery, a statement watch or even a designer logo brooch are all tiny details that go a long way towards completing your outfit and making you look incredibly chic and stylish. From elegant tones and classic designs to the art of wearing clothing, these amazing tips will help you look incredible every day and give you the opportunity to live your most stylish life.